I am late in posting today but i was out whole weekend and that's why couldn't schedule the post. Today's post is very exciting specially for UK girls. We all like indie polishes and some of us(like me) always wish to try their hands on making them but finding the supplies within UK is very tough and was almost impossible as suppliers here in UK doesn't sells the suspension base in smaller quantity. Luckily we now have Mica Moma here in UK. Mica moma is an onlise store who stock franken supplies like suspension base, mica pigment, glitters, steel balls, empty polish bottles and other franken supplies. Not only this they also stock supplies for lips and eyes products. I wan sent a franken starter kit to test which reached me safely in two days. Obviously i was too excited to make my franken polishes that i didn't take photos when the parcel arrived hence missing two bottle of suspension base and steel balls. It also comes with an instruction note where the step bt step process of making your own polish is mentioned. I used five empty polish bottles which i already have. 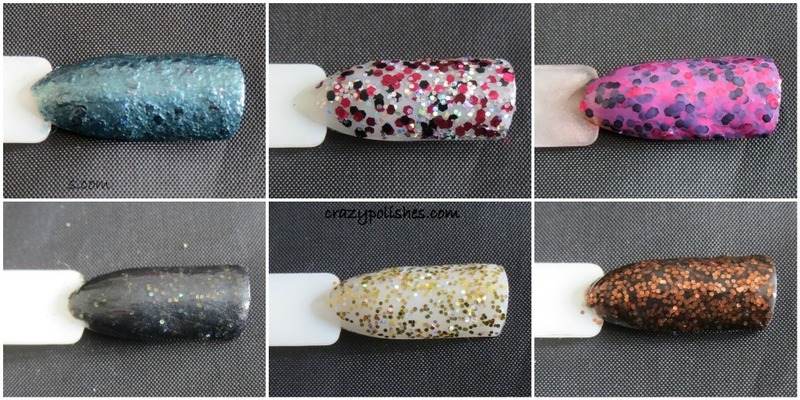 first one in top left is a polish is a mix of iridescent green mica, suspension base, black hex and silver holo hex glitters..
Second is a simple mix of burgundy, black and silver holo glitter top coat. 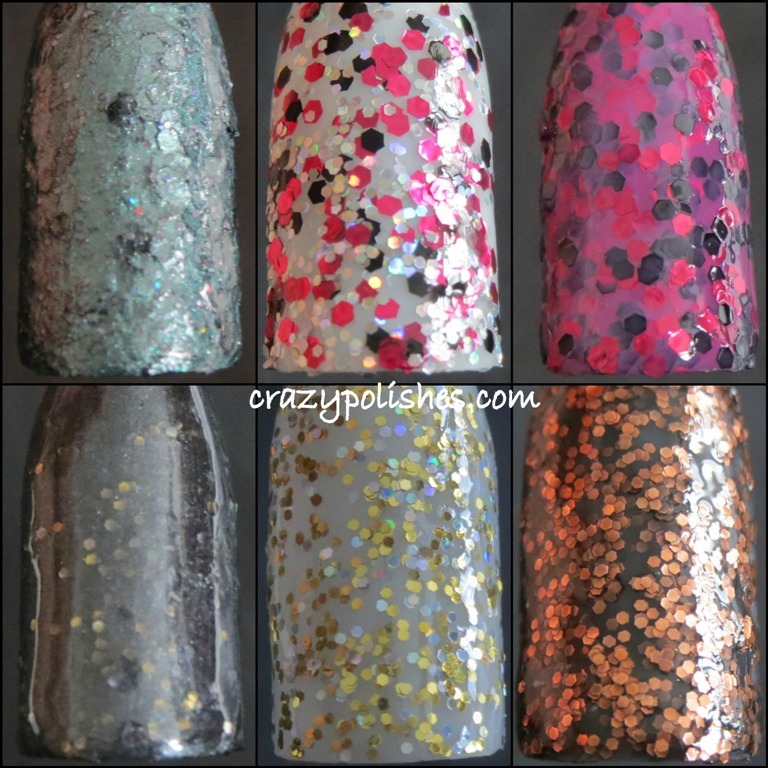 Third one is a crelly formula with black and burgundy glitters suspended in a pink gelly base. Forth one is created using black mica and silver holo hex and a very little amount of golden hex. Fifth is a mix of silver and golden glitters in suspension base i added little bit of clear polish to it. and lastly Sixth is a simple black crelly which has copper glitters. I made this polishes two days before and applied them today. Suspension base is great and the glitters didn't sunk to bottom. Mica is also worked nice no setting in the base and applied beautifully. so which one you liked most..Any of these you want me to show on my nails. If you had this kit what kinda polish you would have created?? 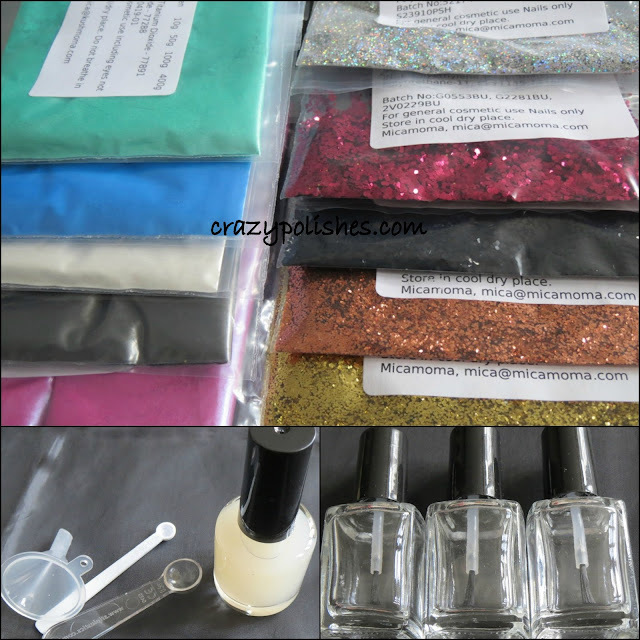 you can get this kit and check out other glitter and supplies on Mica Moma Website. You can also follow them on Facebook or Twitter.